The ring-necked duck is one of several ducks which are known collectively as scaup. The ring-necked duck often mistaken for the greater scaup, which is quite similar in appearance. 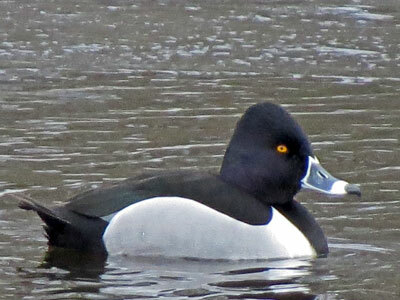 The ring-necked duck drake can be distinguished from other scaup by the presence of a faint ring around its neck and black and white bands on its bill.